High-quality genuine leather seat cushion for chairs with square shaped seat. This high-quality leather seat cushion is restrained in its design and can be used individually on various chairs with square seat shape. The dimensions of the cushion are suitable for use eg on the Bacher chair and cantilever Jimmy, the Audrey chair by Kartell, Cuba by La Palma, the Thonet chairs 130, S 43 / S 43F as well as S 32 and S 64 or the Arper chairs Team 2900/66, 2994 and 2902. The leather-production takes place in Germany and is subject to the strictest of quality checks. Leather - being a product of nature - derives its inimitability from all those little patterns and asymmetries that Mother Nature blessed it with. Because of this, structure, colour and texture can, and will differ from the pictures above. This cushions upper surface is made from semi-anilin. A thin protective layer makes this cushion very durable and easy to clean while still preserving its leather characteristics. Its bottom is made from durable top-grain suede. This suede was specifically designed for HILLMANN LIVING products and comes with an anti-slip coating. 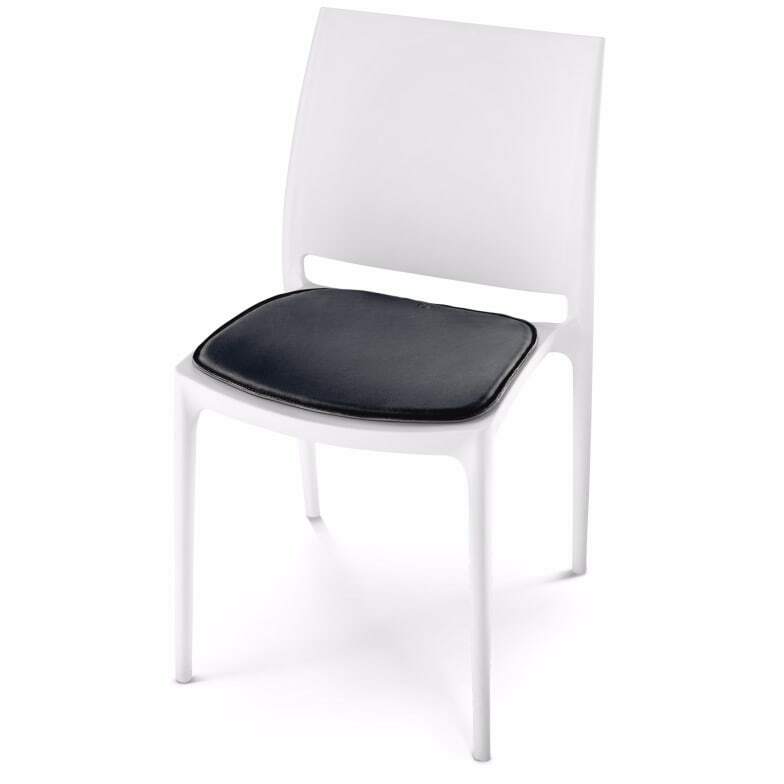 The 10mm thick foam-padding guarantees a pleasant sitting experience. Do you have a question about "Kvadra"? How can we contact you?